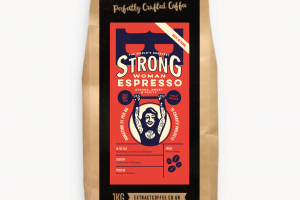 Lost Sheep Coffee is launching its single origin speciality coffee in plant-based capsules that are certified biodegradable and compostable. The new capsules are made predominantly from wood bark – or Lignin – a waste product of the paper industry. Other renewable raw materials including naturally occurring plant-based proteins, starches and glucose make up the biopolymer structure of the capsule. As it is 100% natural the product fully composts in a matter of weeks. 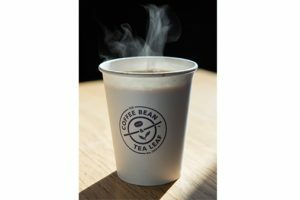 “We know our customers want the convenience of being able to brew a really quality cup of coffee at home but without the guilt of chucking more plastic into land fill. 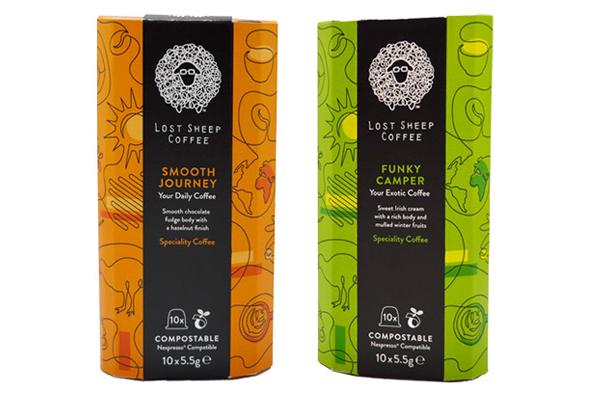 So it was imperative to the Lost Sheep Coffee team that we were able to deliver our exceptional quality coffee at home in a format that is entirely compostable,” said Stuart Wilson, founder of Lost Sheep Coffee. “Until recently, compostable capsules have had a very short freshness life as the coffee inside would go stale. Without plastic or glue it is incredibly difficult to create an air tight seal over the product. After extensive research and development our new capsules achieve a level of oxygen impermeability which enables Lost Sheep Coffee to guarantee a minimum shelf freshness life of 12 months.